Newspaper group Trinity Mirror has announced plans to close its printing plant in Cardiff with the loss of 33 jobs. 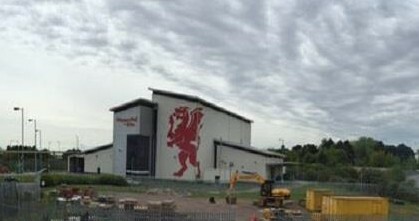 The plant, which prints all of TM’s South Wales titles along with those of some independent publishers, is expected to close shortly before Christmas. The publisher is blaming declining print volumes and the relocation of some of its titles to other print centres. A formal consultation has begun with the 33 staff affected which is due to conclude on 23 December. The move comes almost a year after TM announced the closure of its Newcastle print plant with the loss of 49 jobs. It will leave the company with five remaining print centres, at Birmingham, Watford, Teesside, Oldham and Cardonald. A Trinity Mirror spokesperson said: “We have begun consultation with our staff on the proposed closure of the Trinity Mirror Printing Cardiff site. Titles currently printed at Cardiff include the Western Mail, South Wales Echo, South Wales Evening Post and the Llanelli Star. It also prints some independently-owned titles under contract, including the Pembrokeshire Herald. Its editor Thomas Sinclair said: “This is sad day for the newspaper industry in Wales. Over the last few years we have developed a strong relationship with the staff at the Cardiff print centre and we feel for those members of staff who will lose their jobs so close to Christmas. “It is now expected that most of the Welsh newspaper titles will be printed in either Birmingham or Watford. This means earlier deadlines, and less flexibility for the press in Wales. “There will certainly be logistical challenges for us to produce newspapers so far away from west Wales and get them to the shops on time. The end of year culling continues resulting in yet another 33 staff cast aside and following archants announcement of 57 to go before Christmas it’s surprising there’s any loyalty left in any sector of the uk regional press. With the best editorial and commercial staff long gone,many working for competitor publications,it’s no surprise the industry is rapidly falling apart and with cost savings need to be made my advice to those hanging on with an I’m alright jack mentality is to think of yourselves and your families first and get your exit strategy in place now as sure as eggs is eggs when it suits them to do so you’ll be the next to go. Commiserations to those affected but in many ways you’re the lucky ones given a head start to seek new jobs before those who remain are deemed surplus to requirements too. Strange, that big red figure on the side of the building looks exactly like a demon swinging a large axe with blood dripping off it. Employee X has got it nailed. It seems like I’m offering commiserations to those affected by these stupid cuts every five minutes, but best of luck to all the people involved.